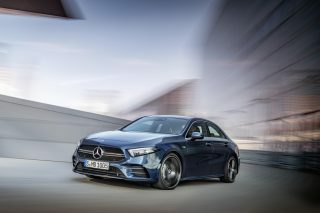 The new Mercedes-AMG C43 four-door is better suited to Singapore roads than the Mercedes-AMG C63. 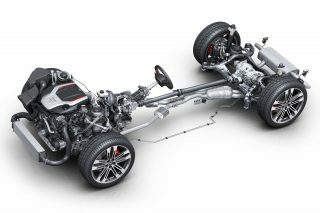 The 3-litre bi-turbo V6 engine in the C43 has been carried over from its predecessor but it now sports larger turbochargers and maximum boost pressure has also risen – from 0.95 bar to 1.1 bar. Gearchanges via the 9-speed automatic (also the same unit as the one used in the previous C43) are also quicker, thanks to software tweaks. 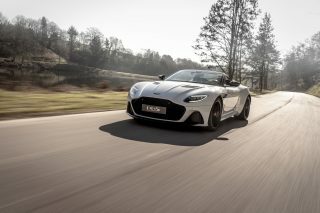 In Sport or Sport Plus mode, the gearbox responded with a textbook lesson on how fast, and direct, changing gears should be. 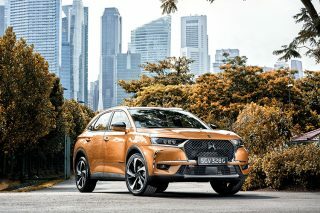 It also didn’t matter if the steering wheel-mounted paddle shifters were used or the transmission was left to do the gear selection automatically, the result was always one and the same. 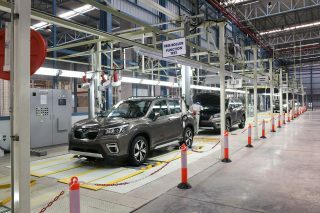 Zero to hundred is dispatched in 4.7 seconds, one-tenth of a second swifter than before. This doesn’t sound like much but in the driver’s seat, it felt significantly faster. The scenery flashes by in a blur and if you hold down your right foot a tad longer, you will find yourself zooming past a line of cars and not just one. 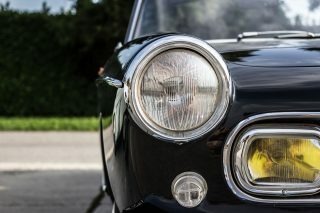 Choosing either Sport or Sport Plus, or leaving it in Comfort, also altered the way the suspension and steering performed. 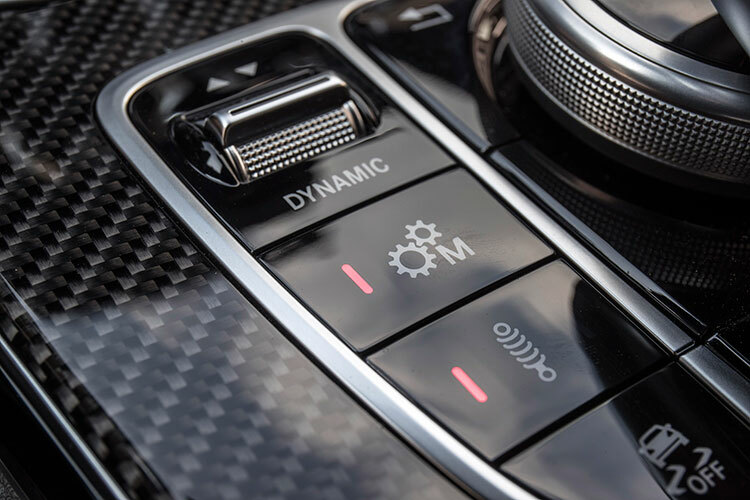 If you needed immediate performance, depress the “M” button and gearchanges will only occur when you pull at either paddle-shifters. During upshifts, a flashing red arrow on the fully-digital instrument display lets you know when is the optimum moment to change gears. The C43 saloon is also pretty handy in the twisty stuff. 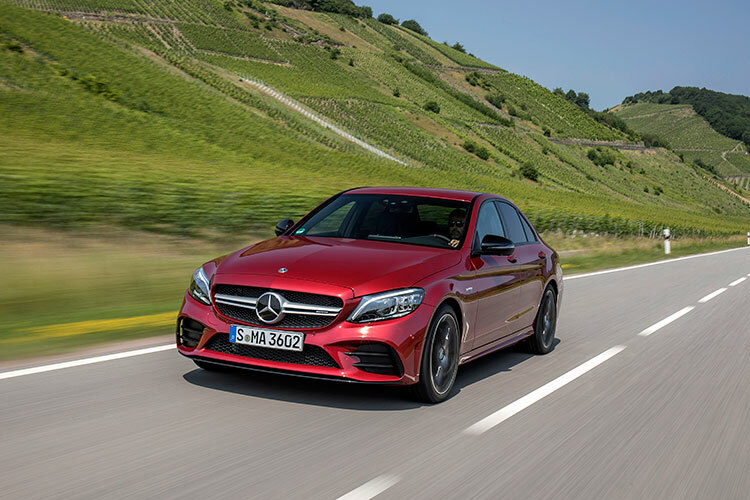 Equipped with AMG Performance 4MATIC all-wheel drive, which has a rear-biased torque distribution of 31:69, you can get on the power earlier and accelerate out of bends smoothly and with superb traction. If you do get it wrong, the slew of electronic stability and traction control gizmos will keep you out of harm’s way. On the outside, the revised front apron with additional flics and side air curtains combine with the rear apron and more pronounced rear diffuser to improve airflow under and around the car. 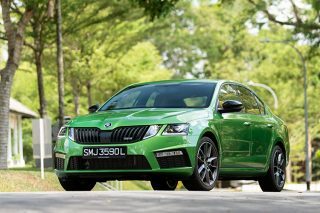 Also new are the light-alloy wheels, which have been aerodynamically optimised in a wind tunnel. The standout feature in the sporty cabin is the flat-bottomed AMG steering wheel. Its grippy shape, heavily contoured rim and flattened thumb placements at the 10 and two o’clock positions make it a real driver’s tool. 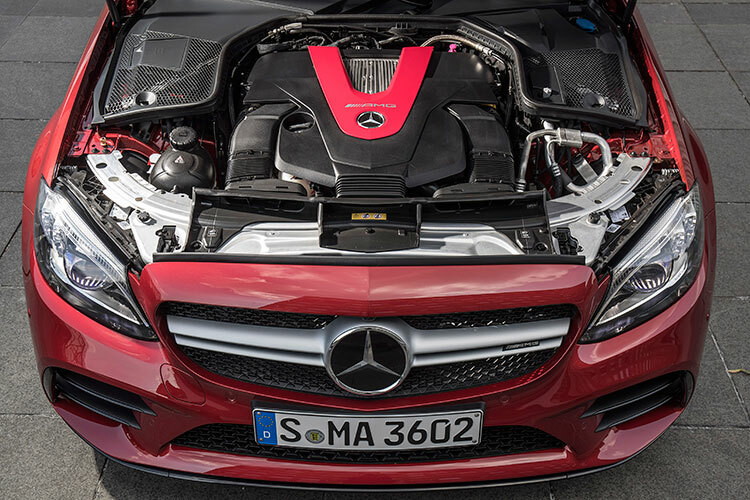 Turbocharged 3-litre V6 in the C43 pumps out 390hp and 520Nm, figures that enable the saloon to go from rest to 100km/h in a relatively rapid 4.7 seconds. 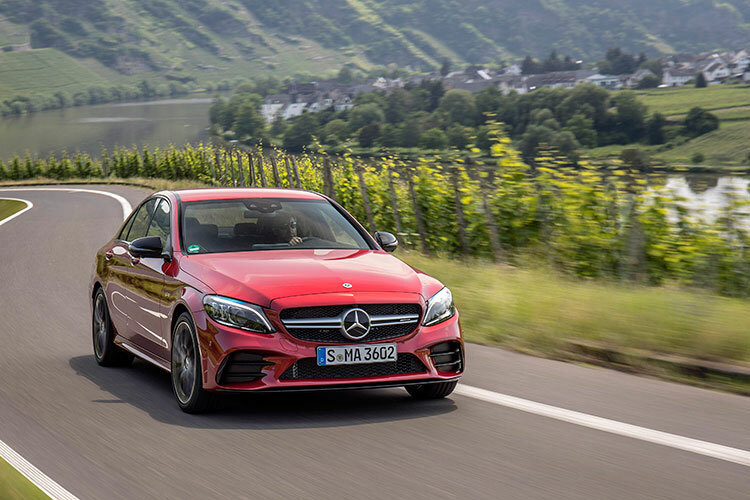 The C43 saloon does have one blemish – its ride is on the firm side even when Comfort is selected. It doesn’t toss you about but you can feel, and hear, road imperfections quite distinctly. 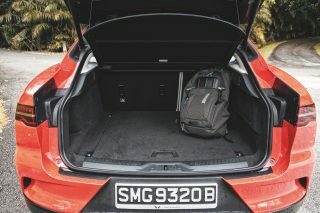 Sure, the C63 saloon is more potent and faster in all driving situations, but it will leave you mega frustrated as there isn’t anywhere in Singapore where you can exploit even half of its performance without the risk of losing your licence. 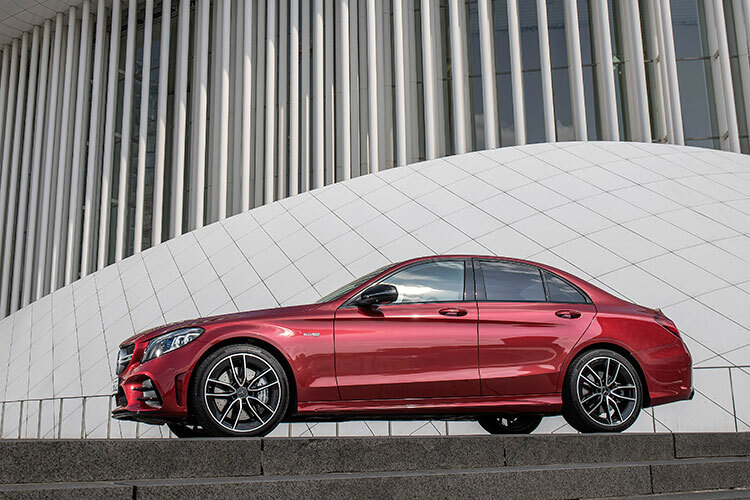 The C43 saloon, on the other hand, is a well-suited to our city state. It’s fast but never manic. Vocal but never loud. It will cruise happily on our highways and blend smoothly with slower traffic. And if the need arises, it will blast past cars without fuss and drama.